SOUND POETRY CRACKED JAZZ WEEK's Top 60! LOOKING FORWARD WAS CHOSEN BY CRITIC PHILIP BOOTH AS "ONE OF THE TOP TEN BEST AND MOST IMPORTANT RELEASES OF 2010" IN JAZZ TIMES MAGAZINE. 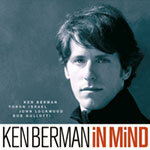 Pianist and composer Ken Berman has performed and recorded with Bob Moses, Yoron Israel, Kai Eckhardt, Akira Tana, John Lockwood, Bob Gullotti, Remi Vignolo, Jaleel Shaw, Take Toriyama, Marc Van Wageningen, Hadrien Feraud and others: he has appeared on the famed stages of Carnegie Hall in New York, Yoshi's in San Francisco, the Museum of Fine Arts in Boston, Detroit's Fox Theater, and The Sunside in Paris. Born in NY, and originally classically trained, he studied piano and composition at the University of Michigan and Berklee College of Music, and later with legendary jazz mentors Barry Harris and Charlie Banacos. Mr. Berman has been the recipient of several artist grants and awards for his ongoing work in jazz education. His music has been the subject of in-depth features on KCSM in San Francisco, KPFA in Berkeley, KKUP in San Jose, KRML in Monterey and on KZSU at Stanford University, where his playing drew comparisons with Bill Evans, Ramsey Lewis and Keith Jarrett. His work has been playlisted on over 50 NPR-jazz radio stations nationwide in markets ranging from New York and Atlanta to Chicago and Detroit, to Portland and San Francisco all the way to Anchorage. 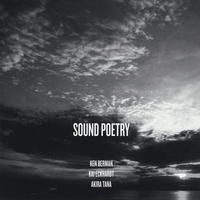 In his new release Sound Poetry (2014), Berman's acclaimed trio - featuring bass virtuoso Kai Eckhardt and the extraordinary Akira Tana on drums - reach new heights of kinetic interplay and lyricism as they explore the realms of possibility in improvisation. A follow-up to the trio's highly praised Looking Forward ("One of the ten best and most important albums of 2010" - Jazz Times), Sound Poetry was born out of Berman's friendship with the late poet Eythan Klamka (1967 - 2011), and builds on Klamka's notion that â€œany good musician is a sound poet." Containing tributes to Billy Strayhorn, Bob Dylan, Bill Frisell, Langston Hughes and Bill Evans among others, Berman creates a poetic soundscape full of "delicate sensuality and brilliance" (Le Monde). 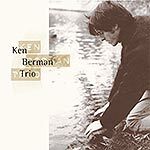 Reviewing Ken Berman's 2006 CD In Mind for The L.A. Jazz Scene, jazz critic Scott Yanow writes: "When listening to Ken Berman's trio CD In Mind, it is easy to think of Keith Jarrett and Bill Evans, for Berman's chord voicings and his close interplay with his sidemen recall the work of his two predecessors. The difference is that Berman wrote all ten selections, he never copies Evans or Jarrett, and at times he sounds more advanced than either of them. The music overall is both swinging and thoughtful, spontaneous and purposeful." The SF Weekly described Berman's music as "contemplative jazz, gentle but without a trace of fluff or artifice," and the great French newspaper Le Monde praised him as a "fluid and erudite" jazz performer and composer whose "complex improvisations are imbued with radiance." In Mind was rated one of the top 15 jazz releases of 2006 on the Jazz with Bob Parlocha website. 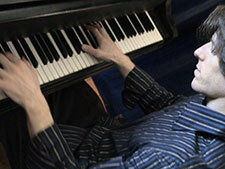 Ken is currently on the music faculty at the University of California Berkeley and teaches at Stanford University. Here is a video entitled "Bill Frisell" from the Sound Poetry recording session at Fantasy Studios. Here is an excerpt of the Ken Berman Trio performing the acclaimed composition "Delie," live at Hertz Hall, UC Berkeley.